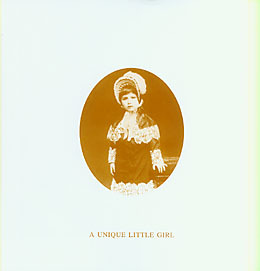 OUR FIRST new publication in this issue, A Unique Little Girl, is quite special: a book of stories about the Mother recounted to children by Pournapréma, her granddaughter. 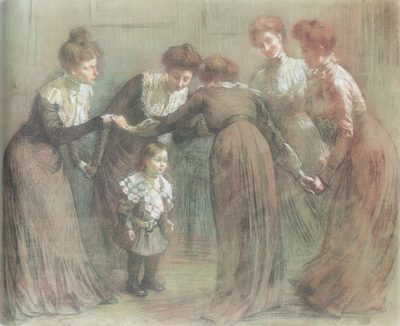 The stories and anecdotes were drawn from notes she had made during conversations with the Mother, and while many are familiar to readers from other sources, some of the family details, along with facsimiles of paintings by Henri Morisset, offer a personal and intimate view of the Mother’s life in France. There is a charming colour portrait of the Mother’s mother, Mathilde, and several paintings and sketches of the Mother with her son, André. The anecdotes, which were recounted as stories told to the Ashram schoolchildren in 1978, reveal the uniqueness of the young Mirra Alfassa—the psychic being already well formed and a strength and determination far beyond her years. Later on we read about the time she spent in Algeria studying occultism, her group of spiritual seekers in Paris, her journey to India and her meeting with Sri Aurobindo, and her stay in Japan before she settled again permanently in Pondicherry. The book was originally published in French under the title Une drôle de petite fille. The Mother posed twice for this picture: in profile on the left and facing back. André is in the centre, aged two. La Capucine, pastel by Henri Morisset. 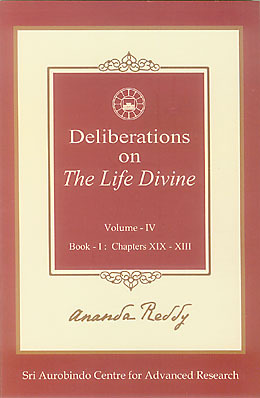 The next book introduced below is a continuation of the series of transcribed talks given by Dr V. Ananda Reddy—Deliberations on The Life Divine: Volume IV. This volume covers chapters nineteen to twenty-three of Sri Aurobindo’s major philosophical work and follows the same pattern as previous volumes. Aimed at reaching the widest of audiences, Dr Reddy summarises the main arguments of each chapter and uses examples and references from everyday life to help illustrate the meaning of Sri Aurobindo’s progression of thought. As a type of study guide, lecture notes at the end of each chapter provide the reader with the opportunity to verify his understanding of the concepts presented. Two booklets round out the new publications in English. The Last Abode of Sri Aurobindo in Kolkata offers us some glimpses into Sri Aurobindo’s last nine months in Kolkata during which he stayed in the house of Krishnakumar Mitra, the husband of his mother’s sister. Here we get thumbnail portraits of his life with this family and with his colleagues and friends as well as details of the books he wrote, the journals he edited, and the political speeches he gave during this short span of time before he received the adesh to go to Chandernagore. 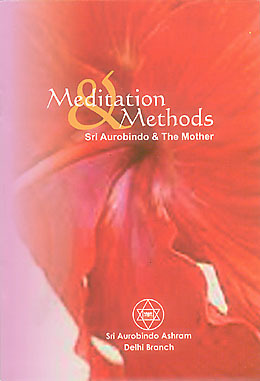 Meditation and Methods is a short compilation dealing primarily with practical guidance given by Sri Aurobindo and the Mother to their disciples on meditation, concentration, prayer and aspiration, and offering and surrender. Compiled of anecdotes culled from notes she made during her conversations with the Mother, this book by Pournapréma, the Mother’s granddaughter, reveals many stories from the Mother’s childhood, her life in Paris as a young woman, her stays in Algeria with the occultists Max and Alma Théon, and the journey that led her to stay with Sri Aurobindo in India. Originally these anecdotes were recounted to Ashram schoolchildren in 1978, and the story-telling narrative style combined with the many photographs, sketches, and paintings, will engage readers of all ages. This fourth volume of Dr Reddy’s transcribed and edited talks on Sri Aurobindo’s The Life Divine addresses chapters nineteen to twenty-three. Using simple language and illustrations from everyday life, Dr Reddy introduces the main philosophical arguments presented in these chapters, which deal with such concepts as the nature of the cosmic life-energy and the play of universal life-force, the limitations imposed by death, desire, and incapacity, the mind’s dilemma, and the double soul in man. The author has kept intact the direct, expository tone of the talks, making this an easily approachable book. Each chapter studies the main arguments in brief and is followed by lecture notes that encapsulate the contents in outline form. From the time of his acquittal in the Alipore bomb trial and his release from jail to his departure for Chandernagore nine months later, Sri Aurobindo stayed in his maternal uncle’s house at 6 College Square. 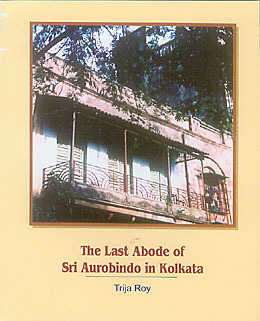 This booklet provides some glimpses into Sri Aurobindo’s life while he stayed there and highlights some important landmarks during this time: he edited the journals Karmayogin (English) and Dharma (Bengali), published two Bengali writings Durga Stotra (Hymn to Durga) and Karakahini (Tales of Prison Life), gave political speeches, and attended the Hooghly Conference as the leader of the Nationalist Party. The short selections included in this compilation are primarily concerned with the practical advice on meditation and concentration given by Sri Aurobindo and the Mother in their communications with disciples. Topics include the object of meditation and its role in one’s sadhana, the best way to still the mind, the concentration of the whole being in an attitude of love and devotion, and the progressive dynamic meditation which has the power to transform the being. The booklet was first published in 1957 and was compiled by Dr Indra Sen.
Ces poèmes de Prithwi Singh Nahar, traduits de l’anglais par le poète et artiste Guy Gervais, portent la marque d’une âme sincère et lumineuse totalement dévouée à ses Maîtres. Né le 3 juin 1898 à Murshidabad au Bengale occidental, Prithwi Singh aurait appartenu, selon la légende, à une famille reliée à l’antique clan des Parmar au royaume du Gujarat. Après de brillantes études, il devint un critique d’art et un critique littéraire très apprécié de son temps. Il était lui-même écrivain, et sitariste de talent. En 1929, il s’établit avec sa famille à Shantinikétan où il vécut une dizaine d’années, côtoyant de nombreux écrivains et artistes attirés par la personnalité de Rabindranath Tagore, et le rayonnement de son «école» à vocation universelle. En 1934, lors d’un voyage dans le sud de l’Inde, Prithwi Singh rencontre Sri Aurobindo, et s’établit quatre ans plus tard à l’Ashram, où ses huit enfants le rejoignent peu après. Il s'engage alors entièrement dans sa quête spirituelle. Sa correspondance avec Sri Aurobindo et la Mère a été publiée en anglais. Sa passion pour les écrits de Sri Aurobindo l'a conduit à fonder la première maison d’édition de l’Ashram. Il a traduit en bengali le théâtre et les poèmes de Sri Aurobindo, tout en écrivant ses propres poèmes et chansons. Quand Mère quitta son corps en 1973, Prithwi Singh dit que son âme l’avait quitté. Il mourut trois ans plus tard, en avril 1976.